Many materialistic things like stock and stationery and non-materialistic things like Manpower are required in adequate levels for an organization to function in a successful manner. Requisition Forms help the employee in an eligible capacity to raise a request for various such requirements. These Requisition Forms are easy to fill in by the users and can also be customized by users to suit their requirements. 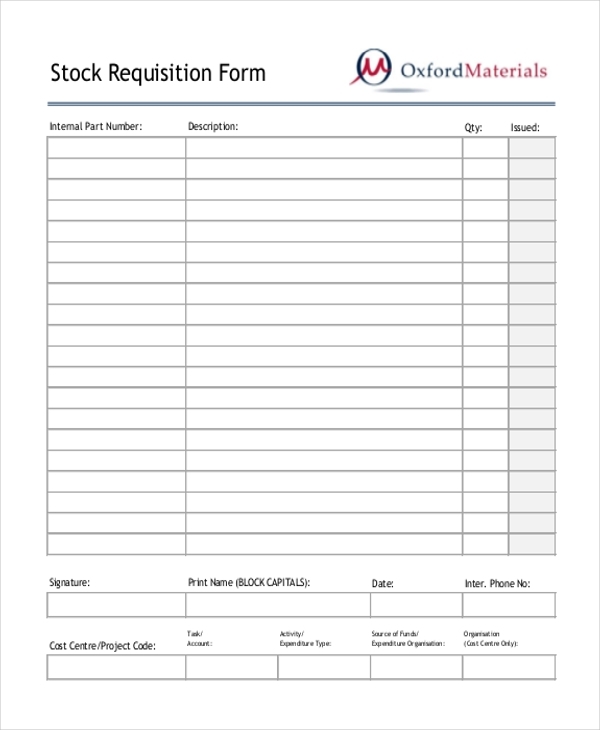 Blank Purchase Order Forms are available for people to fill in their requirement of things to be purchased. You may also see Request Forms. 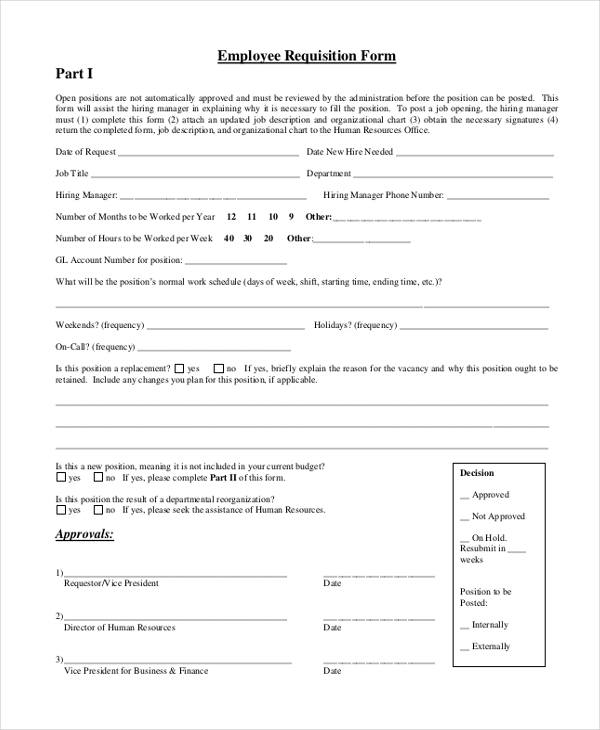 Purchase Requisition Form is a format that captures the purchase requirements of various Departments in an organization. It is a simple format that can be customized by the users.You may also see Purchase Requisition Forms. 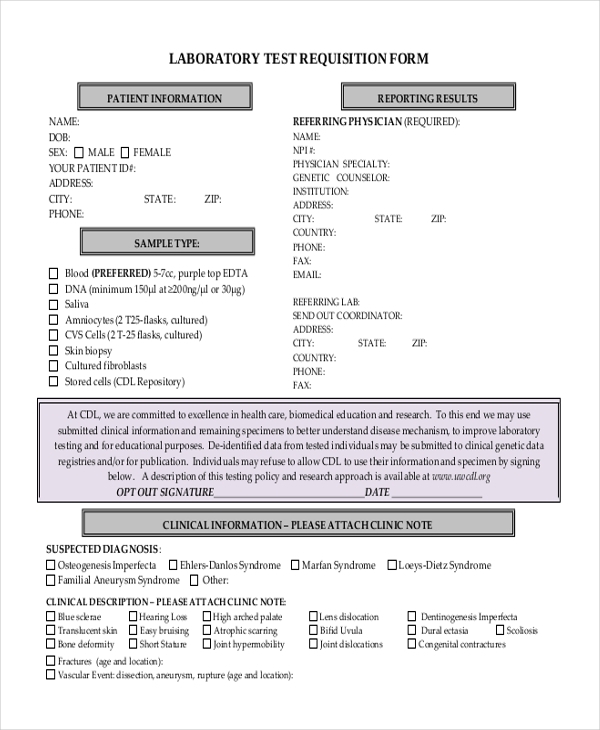 Lab Test Requisition Form is a format that captures the types of physical tests to be taken for a patient. This is basically required to inform the lab people on the tests to be done. Material Requisition Form Excel is a format that captures the materials required by the requestor for performing a certain set of duties. This is a simple format that is customizable by users. 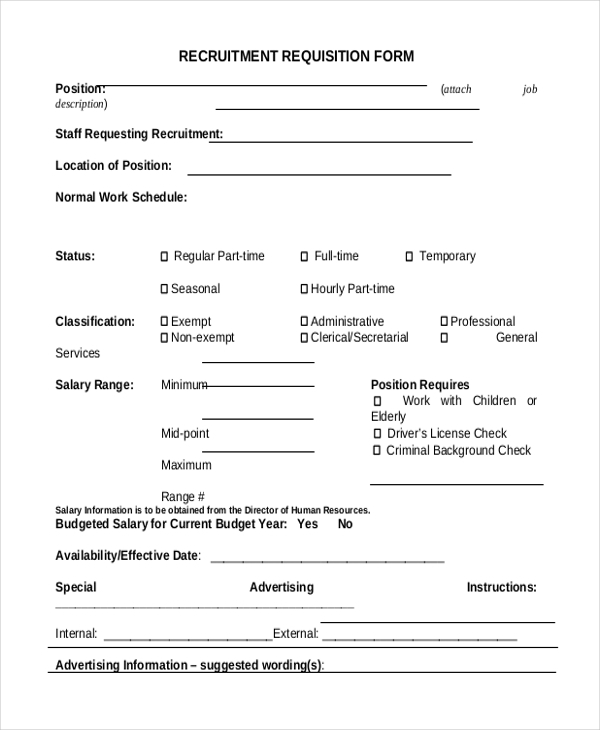 Employee Requisition Form Sample is a format that captures the requirement to hire a new employee for a particular Department. This form needs to be filled in by the Department heads who needs extra manpower. Requisition for payment form is a format that captures the demand for payment that is due to be made or actually overdue. It is a simple customizable format. 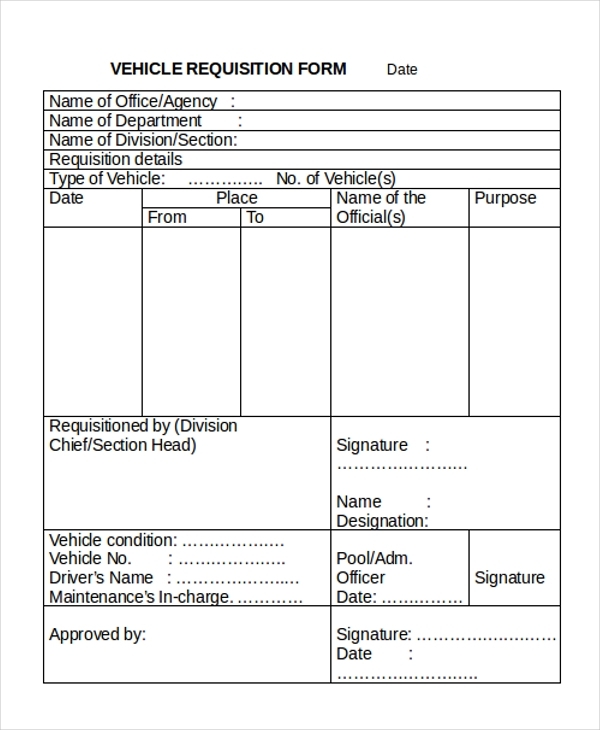 Vehicle Requisition Form is a format that captures the request for a vehicle concerned. This format can be used to request different types of vehicles which the user needs. 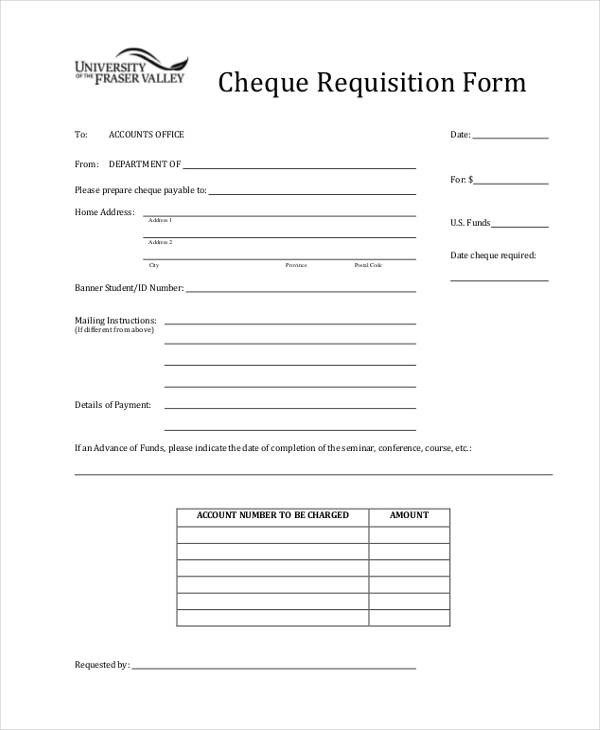 Cheque Requisition Form is a format that captures the request for a Cheque. It is used to be filled in by the requestor who wants the Cheque or Cheque book as a whole. You can also see Check Request Forms. 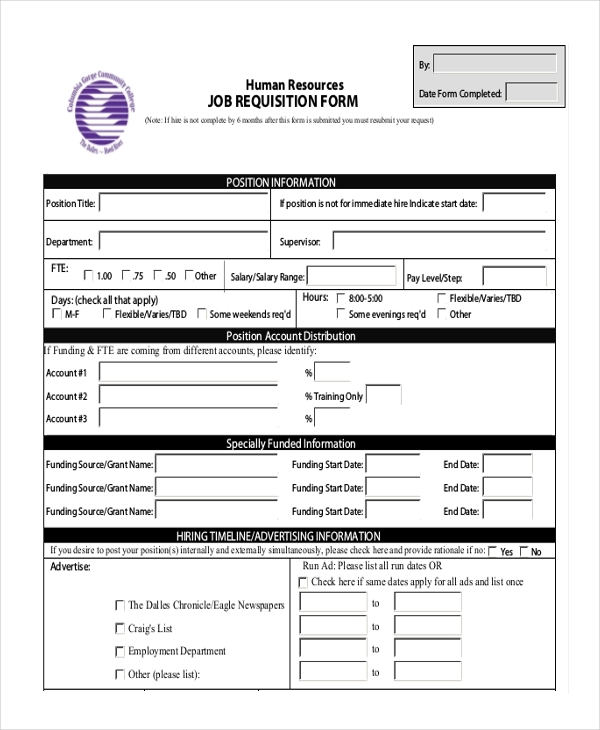 Job Requisition Form is a format that captures the request for a job. Job seekers can make effective use of this form to apply for a job with consultants or manpower agencies. You can also see Event Request Forms. How to use Requisition Forms? Requisition Forms must be used to state your requirements with reasons for the same to those who are in approving positions. Requisition forms must be used to indicate the requirements without which the operational efficiency of individuals, as well as organizations, may suffer. 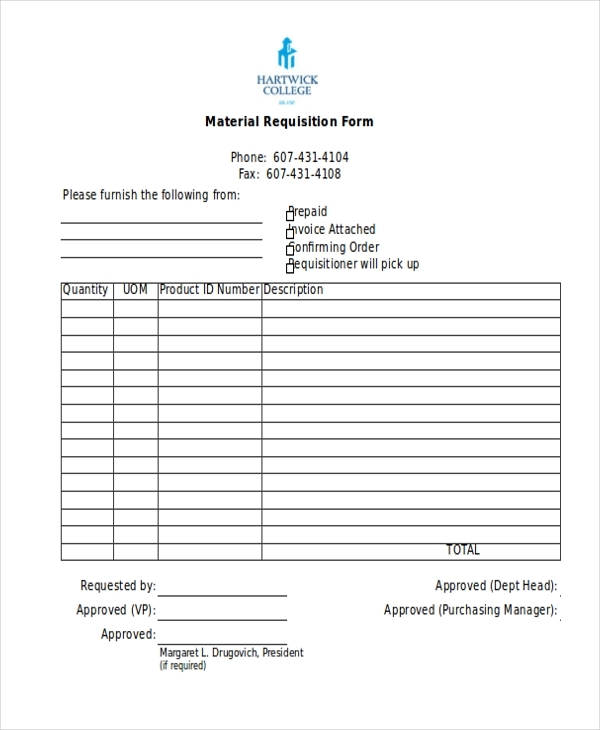 Requisition Forms can be used for requesting material as well as immaterial things within an organization which would enhance the performance of organizations. Requisition Forms are simple formats that can be downloaded for free of cost and used by the users to suit their needs. 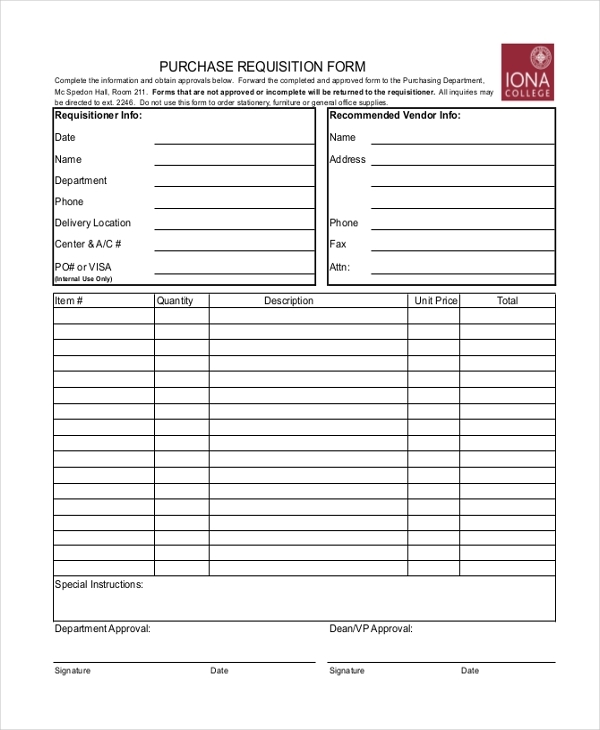 You can also see Purchase Order Request Forms. Who Benefits From Requisition Forms? 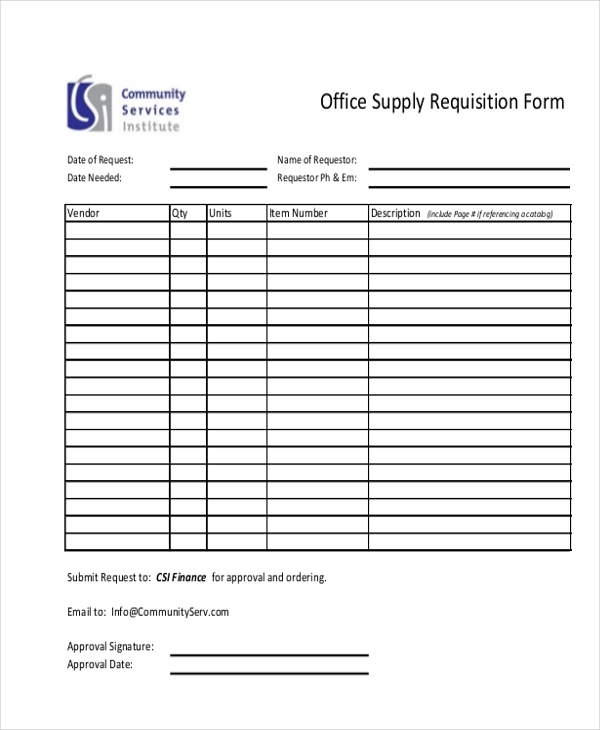 Requisition forms are simple formats that can be used by anyone working in an organization. These forms help employees to raise a request for materials and manpower required for the growth and functioning of the organization. They are highly useful forms that make organizations function without any kind of non-availability. 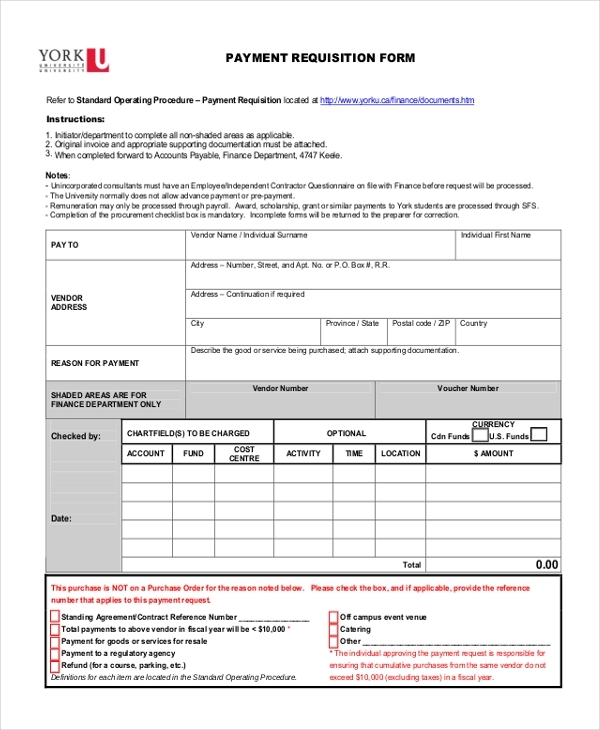 You may also see Change Order Request Forms.